Race cancelled over snow and ice on the towpath. Pembroke M1 had a flying start, hitting a powerful rate 49. We quickly moved on Caius and gained our first whistle half way down First Post Reach. Knowing Caius was fast approaching Jesus, we pushed hard into the gut but unfortunately, Caius secured the bump. With nothing to lose, we decided to go for the over bump on Downing. 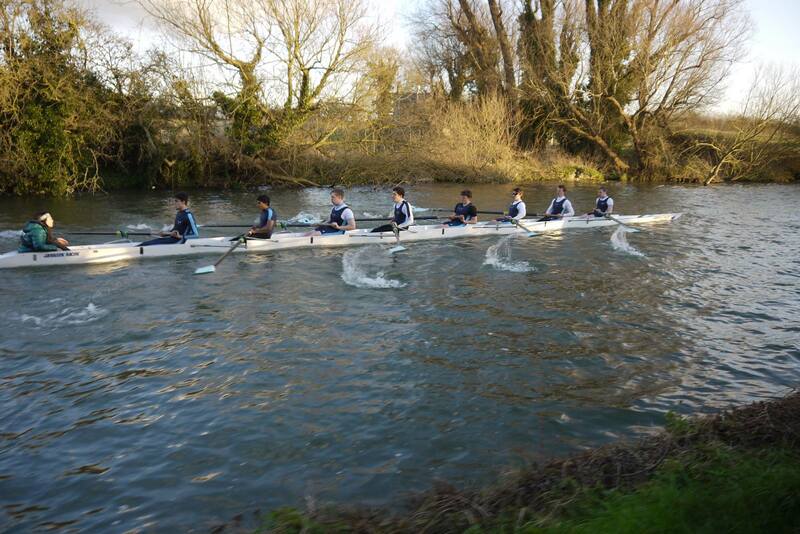 We progressed well past the plough and took a tight line around Ditton which brought us under 4 lengths away. We maintained a lively rhythm down the reach and kept gaining inch by inch. With 500m to go, we went up 4 pips and managed to fight our way to under a length away as we crossed the line. Race cancelled over snow and ice on the towpath.Thursday. Race cancelled.Race cancelled over snow and ice on the towpath.Friday. Row over.We took off with a strong start, pulling away from Churchill behind and rapidly gaining on Maggie in front, coming within half a length before first post corner. However, Maggie caught Girton just at the corner before we had a chance to bump them, and we had to wind it down to let Maggie and Girton clear. Despite our slowing, Churchill didn’t gain much, and we wound it back up to race pace for the rest of the course – resulting in a solid row-over finishing at least four lengths ahead of Churchill.Saturday. Bumped Girton I.
M2 Tuesday. Bumped by Hughes Hall I.
M2 had a spirited start on the first day of the Lents campaign. We knew that we had strong competition chasing us and unfinished business from previous years ahead, but the row got off to a good start. Once we settled into our racing rhythm, we got one whistle on Sidney Sussex ahead. At this point our rowing could have been cleaner and we could have really started to grind them down on the Plough Reach. Though our hearts were in it, Sidney soon caught Queens’ M2 ahead of them and Hughes Hall began to creep up on us quite quickly as we approached the top of the reach. Some ‘up-2’ calls sadly resulted in us being caught roughly a third of the way down the Reach. However, the boat is in good shape, we’ve learned our lesson and we will give everything we’ve got tomorrow! W2 Tuesday. 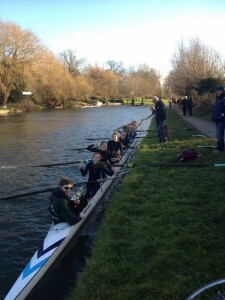 Bumped by Wolfson I.
Pembroke W2 set off with a solid start today and gained on Newnham W2. They rowed well with much composure and power, but despite the strong performance and good spirit from the crew, a fast Wolfson W1 made a push and caught us at First Post Reach. 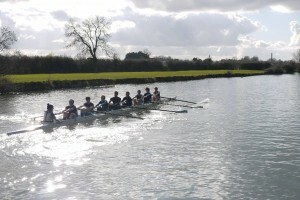 Having had the first taste of bumps for most of the crew, they are hopeful for a strong row over on Thursday. Friday. Bumped by LMBC II. After much uncertainty in racing due to poor weather conditions, Pembroke W2 set off with a smooth start today. Hungry for a revenge bump, we gained slightly on Wolfson I in front of us but they held us off just over a length as we rowed through the course. Meanwhile, Lady Margaret II, being chased closely by the boat behind them, embarked on a burst into the gut, which caught Pembroke off guard and gave Lady Margaret a bump. We are determined to translate the power and commitment seen in the boat today into a successful row tomorrow. M3 Tuesday. Bumped by Trinity Hall III. 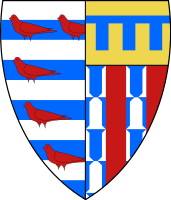 Contrary to the false claims of Varsity, Pembroke M3 has not been scratched from Lents, though a disappointing start to the campaign after a late illness necessitated conceding a technical bump for day 1. We’ll be back strong tomorrow, on the chase. Wednesday. Bumped by Hughes Hall II. M3, though braving the cold, were unfortunately bumped following a series of untimely crabs coming down the A14 reach. Prior to this they made rapid gains on Trinity Hall. 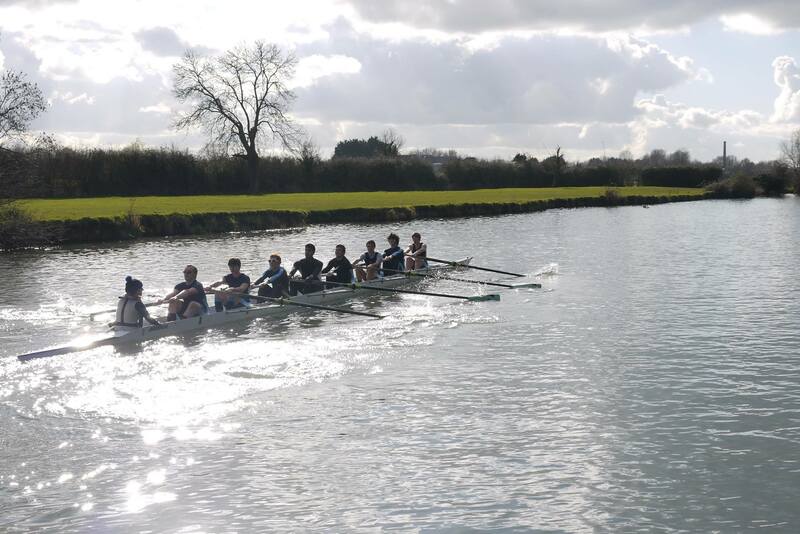 After a very promising start off the line, W3 were quite unlucky – a crab 2 boats ahead caused an early bump out ahead, and another bump cleared out the division. Despite the carnage, they had a very strong row over and are excited to continue the campaign tomorrow.Wednesday. Row over. W3 rowed well today, completely committing to their race. Despite their best efforts to bump, (in terrible conditions!) 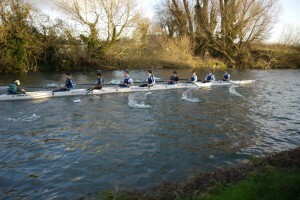 they rowed over behind a strong Homerton II crew.Thursday. Race cancelled.Race cancelled over snow and ice on the towpath.Saturday. Bumped Homerton II.